Keep your New Year’s resolution with these 25 Healthy Desserts! They taste so sinful, you’d never know they’re good for you! If you’re like me, you love sweets but don’t always love the calorie or fat count that comes with them. 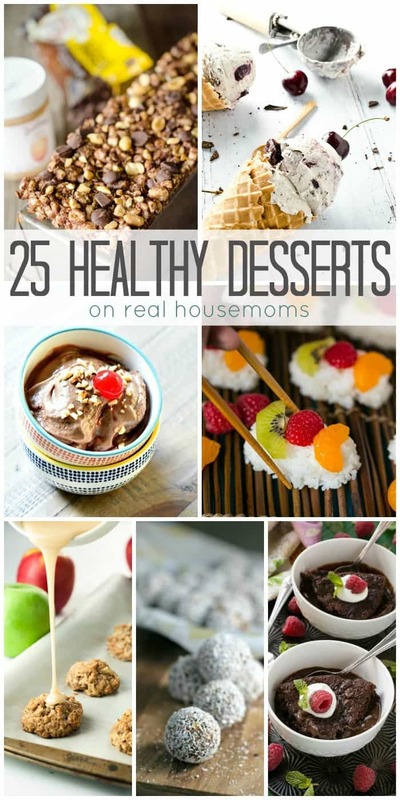 Luckily, these 25 Healthy Desserts are here to help satisfy your sweet tooth without the guilt! We’ve put together a list of everything from cookies and cakes to ice cream and one-bite wonders for every craving! Who knew cakes and cookies could be good for you?! 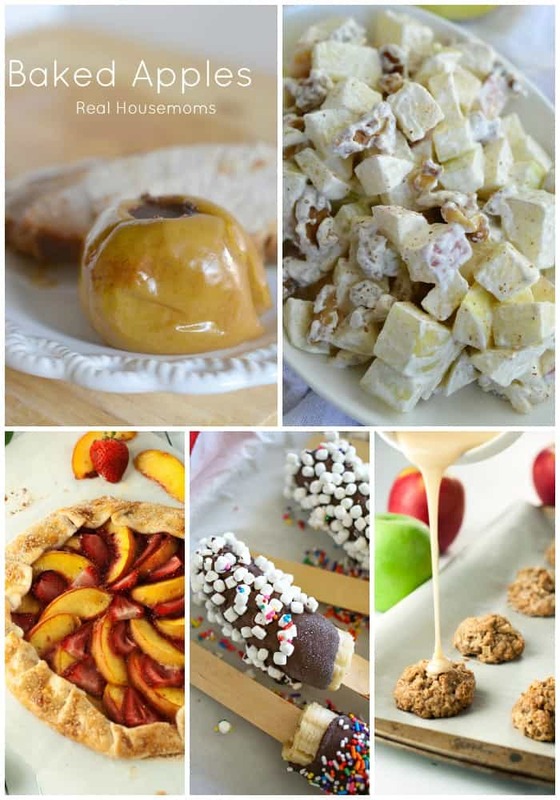 These delicious desserts are portion controlled and use good for you ingredients that make eating your favorite desserts more healthy! 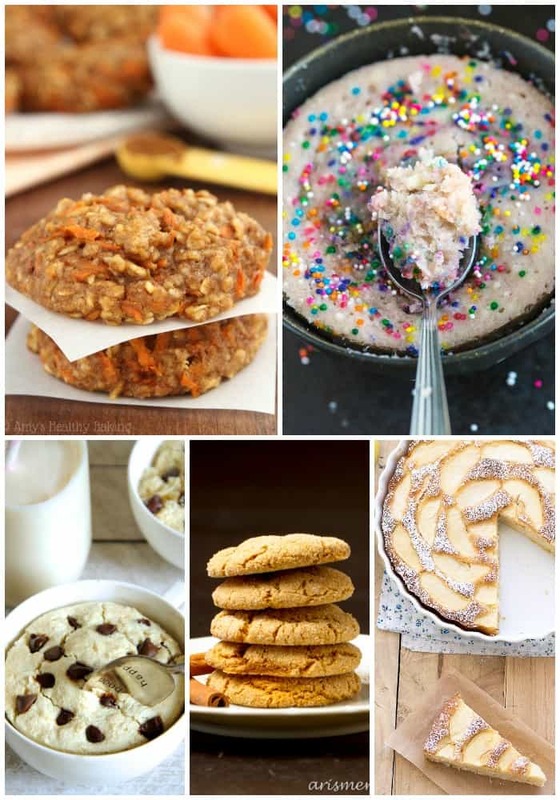 Carrot Cake Oatmeal Cookies – Moist and chewy, these cookies are crazy good! Healthy 1 Minute Vanilla Cake – Who doesn’t love a single serving dessert that’s ready anytime you are?! Oatmeal Cookie Dough Mug Cake – Cookie dough is my favorite indulgence and this mug cake satisfies all those cravings! Chai Spiced Snickerdoodles – Chai spice and cinnamon are a dessert match made in heaven! Low Fat Apple Cake – Fresh apples take this cake to a whole other level of dessert goodness! Does it get any better than chocolate? 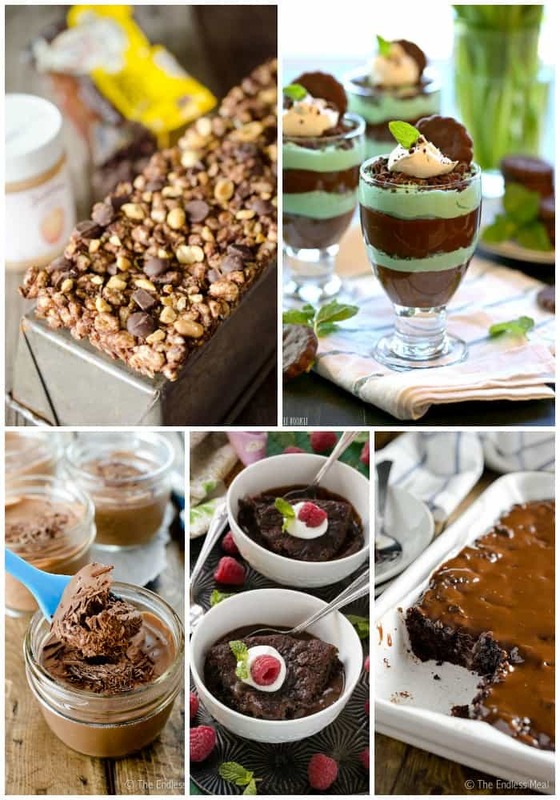 How about some chocolate dessert recipes you don’t have to feel guilty about! Light Chocolate Peanut Bars – We eat these bars for breakfast, a quick afternoon snack, or for dessert! Skinny Mint Chocolate Parfaits – Layers upon layers of chocolate mint goodness! Vegan Dark Chocolate Pots de Creme – Chocolate lovers will swoon for these individual desserts! Chocolate Pudding Cake – So decadent and so delicious!! Healthy Fudgy Chocolate Zucchini Brownies – Who knew veggies could taste so good?! Fruit is always one of my favorite ways to make dessert more healthy! Baked Apples – So easy to make and everyone loves ’em! Apple Walnut Salad – I love making this salad for everything from potlucks to dessert to game day! Strawberry Peach Galette – This gorgeous dessert tastes as good as it looks! Frozen Bananas – My kids go crazy for these easy to make bananas! Caramel Apple Oatmeal Bites – I bet you can’t eat just one! Ice cream is our go-to dessert. There’s always some in the fridge and everyone loves it! With these healthy recipes, I can get the family eating better without even knowing it. Chocolate Peanut Butter Banana “Ice Cream” – You’d never guess this ice only has 2 ingredients! Almond Joy Sorbet – Coconut, chocolate, and nuts it a dessert combination no one can resist! Mint Chocolate Chip Ice Cream – My favorite ice cream just got lighter! 5-Minute Healthy Strawberry Frozen Yogurt – Pretty, delicious, and oh so crave-able! 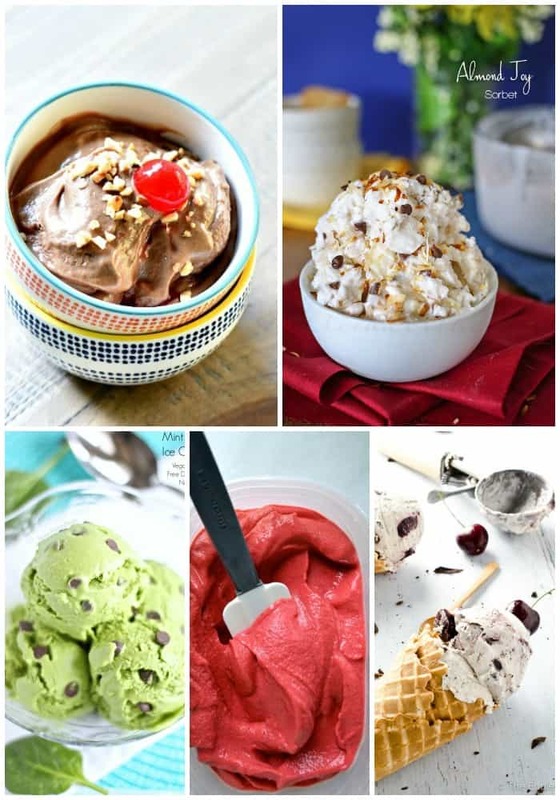 Cherry Garcia Ice Cream – Skip the store bought stuff and try this homemade option instead! Little bites of something sweet is all I need to take the edge off sometimes. These healthy recipes will give your sweet tooth a fix and leave you feeling good about it! Chocolate Coconut Bliss Bites – I’m completely addicted to these bites! Fruit Sushi – A fun dessert the whole family loves! 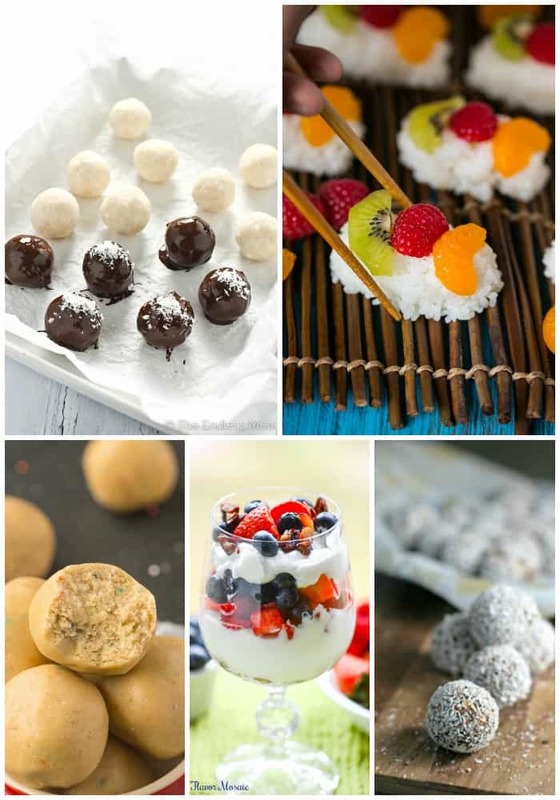 Healthy No Bake Cake Batter Bites – Satisfy your cake cravings with a poppable bite! Strawberry Blueberry Yogurt Parfait – Serve ’em for dessert or treat yourself at breakfast! Chocolate Chai Truffles – Rich, chocolate goodness in every bite! Cookies and brownies are the best! Hey Julie, I really liked your post. thank you so much for sharing this and keep on sharing such healthy posts. cheers! 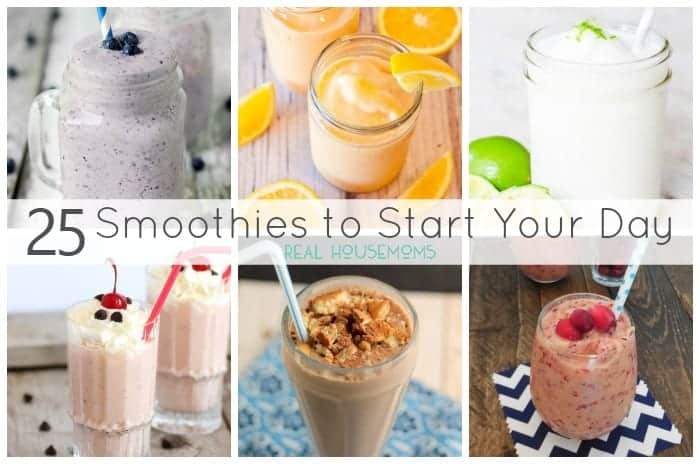 Hey Julie, those recipes, and desserts are so yummy.I love smoothies and cookies they are awesome.I would try all those recipes in your article they look delicious.Thanks for sharing such a yummy post with us.